The guest list at Intrigue is available Wednesday, Friday, and Saturday. Simply fill out your party info below and we’ll have our Intrigue promoter personally reach out to assist you. Does Intrigue offer a free guest list? Yes. Intrigue is unique from most newer Vegas nightclubs in that it offers a free even ratio guest list from 10:30pm-1am. If you have more guys than girls, the extra guys will have to buy tickets (we can provide a link). All girl groups are always free 10:30pm-1am. How’s the Intrigue guest list work? Simply enter your info in our guest list form below and we’ll have our promoter reach out to touch base with a confirmation. On Wednesdays, Intrigue has a VIP “Staff Guest List” reserved for friends of the bartenders, bussers, and waitresses. When available, you will be placed on this list for express entry and special drink vouchers. Is there free drinks on the guest list? On Wednesdays and select weekend nights, girls get tickets for free vodka and champagne on the guest list. These are given out in the first two hours of the guest list, so if you arrive close to 1am when it closes you may miss out. Arrive early! What is the cover at Intrigue? Cover varies from $30-50 for guys and $20-30 for girls depending on the night. On the Intrigue guest list, girls and guys are free even ratio until 1am. If you have more guys than girls, you will have to pay covers or buy tickets for the extra guys in your group. Reach out below to let us know your party size and we’ll get you set up with the best option. 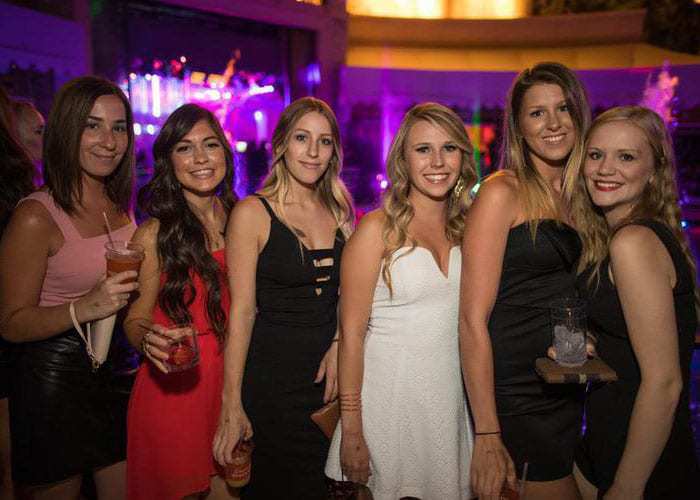 The Guest List at Intrigue nightclub is open from 10:30pm – 1am. Girls and Guys are FREE even ratio on the guest list every night Intrigue is open. Girls on the Intrigue guest list get drink tickets for free vodka & champagne on industry Wednesdays. We’ll have our Intrigue promoter reach out to set you up and answer questions.